What is the most likely source of dilemma that a young man or woman might be confronted with while searching for a partner? Physical looks? Or maybe his or her social standing? Background may be another reason. But I am sure that height of the would-be partner is never a dilemma for someone searching for his or her better half. And yet, this is one of the many issues that often find members of the physically handicapped dwarf community in a quandary. 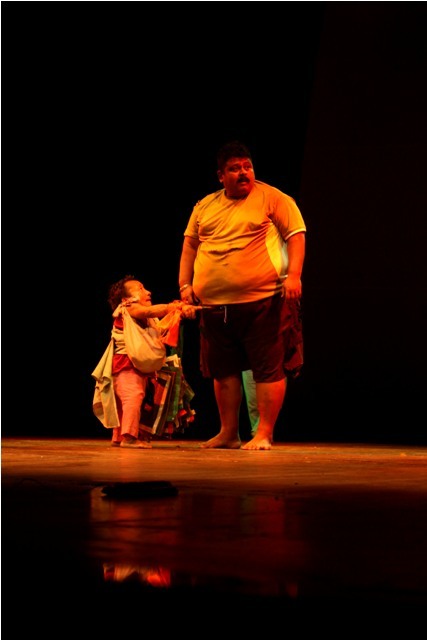 This and many other such issues dealing with the joys, sufferings, dreams and complex realities of dwarfs were brought to the forefront in Pabitra Rabha’s latest play Kinu Kou, that was staged to a highly enthusiastic audience in Rabindra Bhavan on Monday evening. The play was a result of a month-long workshop conducted by Pabitra Baruah in Tangla – a small town in BTC’s Udalguri district. 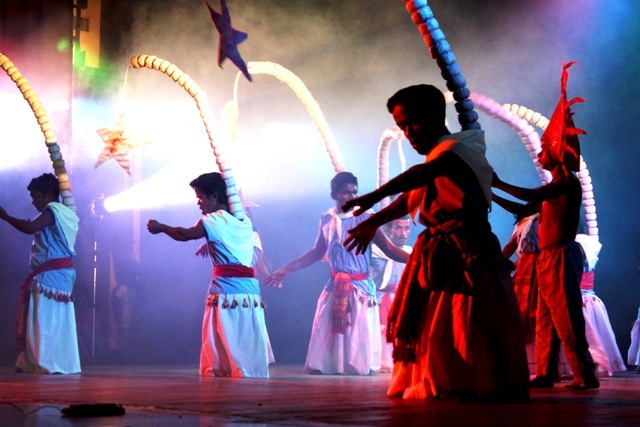 Lights and laughter thus become the natural motifs around which the play revolves, bringing out the internal soul and basic instinct of these underprivileged people. While light can also produce deep and dark shadows, laughter too may at time be translated into heinous mockery. An interesting concept, which the director has dealt in a skilled manner, ensuring that it moves without a jerk. The beautiful costumes and the imaginative props have further lifted the production to higher aesthetic levels. 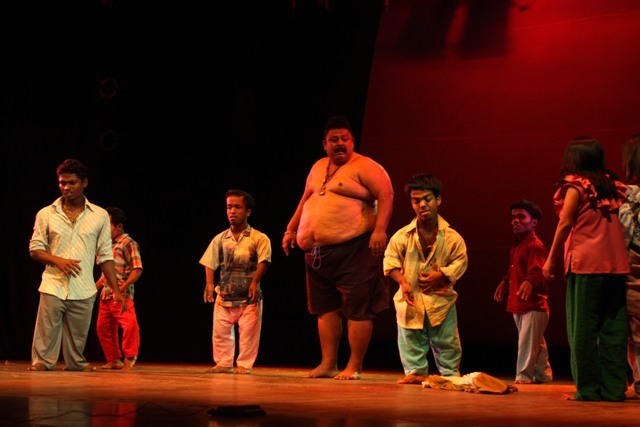 The amateur theatre group also plans to establish a permanent Physically Challenged Citizen (DWARF) village in the future.